Every hero deserves to be honored and acknowledged. 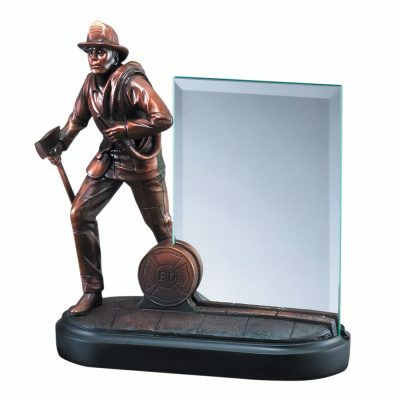 What better way to accord them the recognition that they are so worthy of than with our Bronze Firefighter Statue With Glass Engraving Plate. This bronze electroplated resin sculpture stands 8” high and has a 4” x 6” glass for engraving. An elegant way to recognize a firefighter.